The Health District does not provide pregnancy tests. Please call a local hospital-based clinic to arrange pregnancy testing. Proper prenatal care is one of the most effective ways for mothers to deliver healthy babies. There are many factors to having a healthy pregnancy for both mother and baby. Any questions you have about your health or the health of your baby should be discussed with your health care provider as soon as possible. As soon as you think you may be pregnant, make an appointment to see a health care provider. The earlier you visit a doctor or health care provider, the sooner you can begin taking care of yourself and your baby. Even before getting pregnant, women of childbearing years should be aware of folic acid intake. Folic acid helps prevent congenital birth defects such as spina bifida. Ask your health care provider about folic acid supplements. Drink more water; six to eight glasses daily is recommended throughout pregnancy. Get regular checkups throughout your pregnancy. The number of visits to your health care provider will increase the last few months of pregnancy. Wear a seat belt. Always wear the shoulder strap and adjust lower belt to fit below stomach. Talk to your health care provider about you and your baby’s nutritional needs. Inform all health care providers about your pregnancy (eye doctor, dentist, etc.). Beware of workplace, household, and environmental hazards, including contact with chemicals, radiation, and other harmful substances. Steer clear of X-rays for medical or dental diagnosis. Drug use (recreational, prescription, or over-the-counter), unless specified by your health care provider. Tobacco products and alcoholic beverages. Smoking during pregnancy (including exposure to secondhand smoke) may cause prematurity, lung disease, crib death, and other complications. Encourage others not to smoke in your presence, since secondhand smoke is also harmful to you and the fetus. Alcohol consumption can lead to fetal alcohol syndrome, which can cause neurological problems and developmental delays. Breastfeeding is the best source of nutrition for most infants. It can also reduce the risk for some short- and long-term health conditions for both infants and mothers. Most mothers want to breastfeed but stop early due to a lack of ongoing support. Certain factors make the difference in whether and how long infants are breastfed. Sudden infant death syndrome (SIDS)rm health conditions for both infants and mothers. 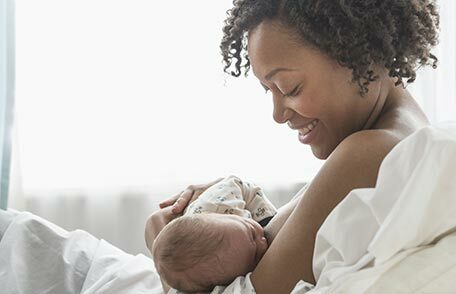 Visit the Office on Women’s Health for assistance breastfeeding or for more information on breastfeeding. For children born in a hospital or licensed maternity center, a blood specimen is collected from newborns prior to discharge from the nursery. Newborn screening is a preventive public health program for early identification of rare disorders that can lead to disability, mental retardation or even death. Home visits are also available for this service. A Secret, Safe Place provides an option for mothers and/or parents of newborns, providing confidential emergency care and shelter in Hamilton County hospitals. Newborn babies (up to 3 days old) can be brought to a Hamilton County hospital’s emergency department and left with someone at the hospital wearing a hospital identification badge. Total secrecy is assured, and the mother will not be prosecuted for abandonment if she acts within 3 days of the birth and the baby is not harmed. The hospitals listed below will provide a safe haven for the baby, no questions asked, giving medical attention and care until the baby can be placed in an appropriate home. Questions about A Secret, Safe Place? Call United Way Helpline by dialing 211. First time parents often have questions or experience frustration as their child begins to grow and develop. Here are some frequently asked questions and tips to help you better understand your child and manage stressful situations. What can you do when you start losing your temper with your children? Stop. Press your lips together and breathe deeply. Say the alphabet out loud. Take a walk or go to another room (only if it’s safe to leave your child). Do something with your hands (bake a cake, draw or write down how you feel, clean the bathroom). Close your eyes and imagine you’re hearing what your child hears. Listen to music or sing a song. How do you know you need to get help for yourself? Experience intense anger or sadness, or feel overwhelmed by everyday problems. Respond violently when your child has a temper tantrum. Are afraid you might hurt your child. Childhelp USA/IOF Foresters National Child Abuse Hotline (800) 422-4453. The Office of Maternal and Infant Health and Infant Mortality Reduction was created in October 2008. It is jointly established and funded by the City of Cincinnati and Hamilton County to address the high infant mortality rate in Hamilton County. This project is commonly referred to as the Women and Infant Vitality Network. 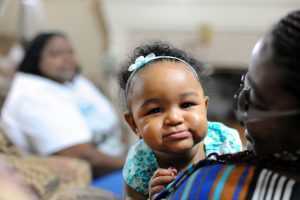 Through a 2010 March of Dimes Community Grant focusing on risk reduction during pregnancy, the Women and Infant Vitality Network has implemented an expansion of the CenteringPregnancy® model in Cincinnati/Hamilton County. The Network launched programs in partnership with University Hospital and The Christ Hospital where three CenteringPregnancy groups have begun since July 2010. The Network expanded CenteringPregnancy to the two new sites to complement the existing site at Tri-Health Nurse Midwives, which was also launched through a March of Dimes grant. The program will serve over 200 at risk women.